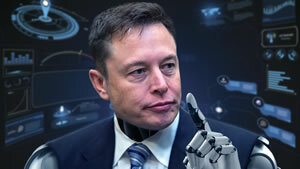 Jeremy C. Ownens for MarketWatch: Elon Musk thinks his robot software can make Tesla Inc. worth as much as Apple Inc. He has the chance to prove it very soon. In three different facilities spread across America, Tesla’s robot-manufacturing prowess is about to show its worth. If Musk — who, to his credit, is building rockets that can land already — can accomplish his accelerated ambitions for automated manufacturing, Tesla would at least own a piece of the pipeline over Apple.